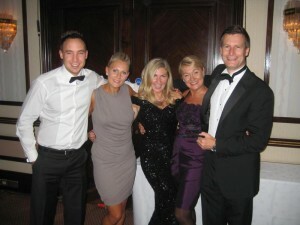 The BMVwarehouse team attended the annual Property Investors Network dinner last Friday. At the dinner we were delighted to be awarded with a prize for our deal sourcing service. A great result that we are all very proud of and it was also a valuable evening in terms of raising awareness about BMVwarehouse. There were around 300 property professionals in the room and we used the opportunity to have our own stand in order to network and meet with as many prospective clients as possible. The whole event was very well organised with everyone obviously enjoying themselves, lots of networking going on, and a great after dinner speech by David Hyner about the importance of setting massive goals and taking control of your own destiny. If you didn’t manage to make it this year I highly recommend you look out for it next year and book your place early. This entry was posted in About us, Networking and tagged About us. Bookmark the permalink.